How Do You Address an Underactive Thyroid in Dogs? How Does a Dog Get It? Many people don't realize that it's not just humans that can develop hypothyroidism – an underactive thyroid. Man's best friend – dogs – can also develop this common thyroid condition. This article answers frequently asked questions about canine hypothyroidism. Hypothyroidism is a disorder of the thyroid gland – two small butterfly-shaped lobes located in the neck. This gland has a number of functions but is most well known for regulating your dog's metabolic rate. In hypothyroidism, the thyroid gland is underactive and unable to secrete enough thyroid hormone. This, in turn, decreases your dog's metabolism. Most cases of hypothyroidism in dogs stem from the dog's own immune system attacking the tissues of the thyroid gland. This condition is called autoimmune thyroiditis. 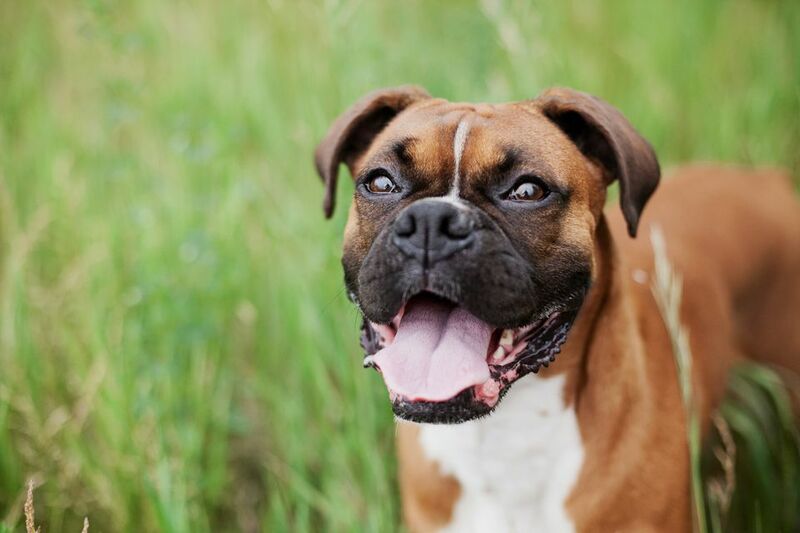 The dog's own system attempts to compensate for this at first by secreting more and more of the thyroid hormone, but eventually, the gland is unable to keep up with the attacks on its tissue, and the dog becomes hypothyroid and symptomatic. While there is a genetic predisposition for thyroid disorders, environmental factors such as pollutants and allergies probably play a role as well. Hypothyroidism is rare in toy and miniature breeds of dogs. Is Age or Gender a Factor? Most dogs contract hypothyroidism between the ages of 4 to 10. It appears to affect males and females equally, however spayed females are at a higher risk than unspayed females. Baseline TSH Test: Measures the level of Thyroid Stimulating Hormone. In combination with the T4 or T3 test provides a complete picture of the hormonal activity of your dog's thyroid gland. Free T4 by RIA (radioimmunoassay): The Free T4 test using RIA techniques does not appear to be more or less accurate than the above TT4 test. Free T4 by ED (equilibrium dialysis): This test may provide more accurate data on the level of T4 hormone in your dog's bloodstream. Baseline T3 Test: In combination with the T4 or TSH test, these two blood tests can give a clearer picture of the hormone levels found in the bloodstream. This test is not reliable when used alone. The T3 Test should always be given in combination with one of the other blood tests. TSH Response Test: In this test, the veterinarian takes an initial measurement of the thyroid hormones in your dog's bloodstream, and then injects Thyroid Stimulating Hormone (TSH) into the vein. After 6 hours a blood sample is drawn and the level of T4 is checked. If your dog has hypothyroidism, the level of T4 will not increase even after the TSH is injected. This is an expensive test and is being used less often due to decreased production by the manufacturers. Hypothyroidism is treated with a daily dose of synthetic thyroid hormone called thyroxine (levothyroxine). Blood samples will need to be drawn periodically to assess the effectiveness of the dosage and make any adjustments necessary. What Should You Expect From Your Dog's Hypothyroidism Treatment? Most symptoms should clear up after treatment. With regularly scheduled check-ups to ensure correct dosage, your hypothyroid dog should be mostly symptom-free for the rest of his or her life. Hypothyroid dogs who receive proper treatment have a normal life span and are able to maintain good health well into their golden years.